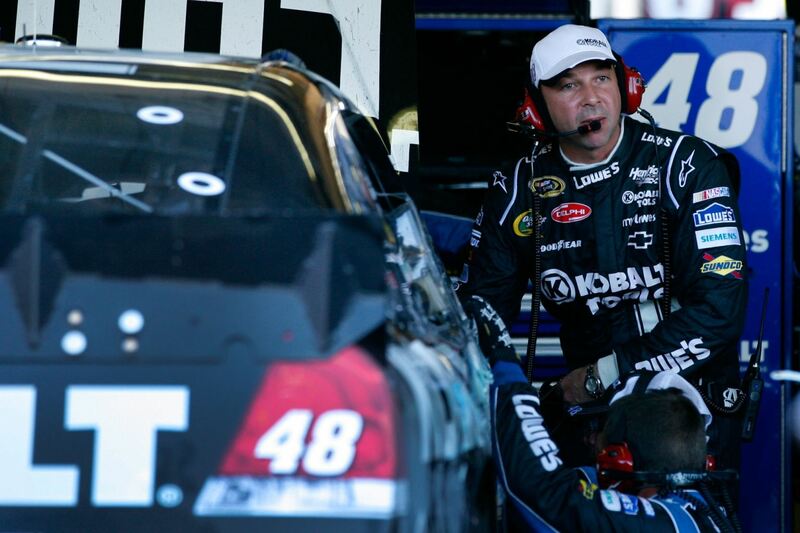 After crashing at Phoenix, are Jimmie Johnson's title hopes dead? Lost amid all the craziness surrounding the wild brawl featuring Jeff Gordon and Clint Bowyer was the fact that because of some bad luck, the championship picture got a heck of a lot more clear, and it was not the contender that you would think it would be. After a right front tire went flat while he was coming out of turn four, Jimme Johnson crashed hard into the wall with less than 80 laps remaining that resulted in a 3nd place finish, leaving him 20 points behind points leader Brad Keselowski. As the Chase heads to its conclusion down at Homestead, does Johnson have any chance to get a sixth championship? Johnson has been blessed with mostly good luck during his championship seasons in the Chase, so much that even though the points race was tight between him and Keselowski, he was the favorite going into the final two races of the season. But bad luck bit him at the worst possible team because now, where Johnson was headed for a top ten but was going to lose some ground because Keselowski had the better car, Johnson's championship dreams have taken a seriously blow as all Keselowski has to do is finish fifteenth or higher and the Blue Deuce has its first title. Now you may think, looking at history, that Johnson could be in position to make up some ground at Homestead because Keselowski has struggled in the past there, with a best finish of only 13th in four races. However, Keselowski has been running great of late at tracks where he did not have a prior record of success like in Fort Worth or yesterday in Avondale plus he has been on an incredible roll for most of the season, with only one non-top 20 since the first Texas race. 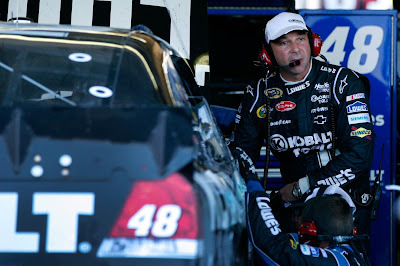 And, Johnson has only an average finish of 13th at Homestead-Miami Speedway and has never won there. We now that anything could certainly happen, as yesterday's race proved, but it would take quite a feat if the driver winning the trophy next Sunday was not Brad Keselowski.